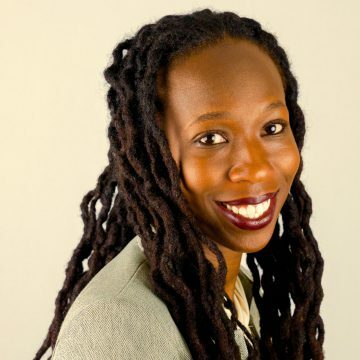 Aba Taylor has spent the last two decades working for social justice as an educator, facilitator, organizer, consultant, and nonprofit executive. From working internationally at the United Nations in South Asia, to conducting civil rights trainings all over the United States, to leading high impact social justice organizations and efforts, Aba has committed herself to building the capacity and leadership of organizations dedicated to social change. Before returning to Boston, Aba spent over 15 years living and loving in the People’s Republic of Brooklyn and in Oakland, working as the deputy director of the Astraea Lesbian Foundation for Justice and with the Audre Lorde Project, and before that for the Movement Strategy Center. Taylor’s experience has included facilitating YW Boston’s Dialogues on Race and Ethnicity, designing and facilitating racial justice trainings for institutions such as the Boston Latin School, YWCA, the Jewish Social Justice Roundtable, the Alliance for Nonprofit Management, as well as myriad health care, educational, youth, and other groups and organizations. Aba holds a Bachelor of Arts degree in Pan-African Studies from Columbia University and a Master of Arts degree in Nonprofit Leadership and Management from the School of International Training. She is a Rockwood Leadership Institute alumnus and a certified trainer with Quabbin Mediation. Passionate about arts, culture, and creative expression Aba is a closeted writer and a very out cinephile and sci-fi nerd. For Aba, liberatory parenting and other spiritual and healing practices are her North Star.